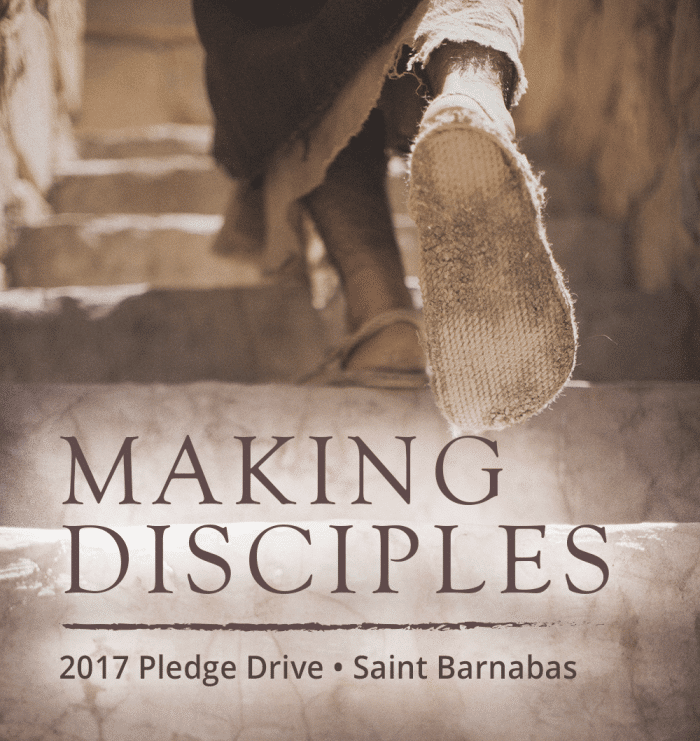 Saint Barnabas is a place where we seek to make disciples who draw near to Jesus and are sent by him to go and serve the world. That is our mission as a parish family, and this month we will spend time highlighting some of our many ministries that seek to nurture our growing discipleship in rich, dynamic ways. From ministries that deepen our faith to ministries that enable us to serve others; from ministries that help us find a sense of family to ministries that care for us in our darkest times; from ministries of welcoming all who come through our doors to ministries that bring us to tears with their impact; Saint Barnabas is filled with people enacting their discipleship. Keep checking back here and keep an eye on our Facebook Page and your email inbox to learn about these ministries and how you can be part of supporting them in 2017!